In its purest form, storytelling is an art. It is evocative and emotive, and seeks to elicit clear thoughts and feelings within its audience’s mind. A story should have implicit meaning, and that meaning should be interchangeable with the creator and the consumer. Musically, the most story-saturated genre tends to be folk songs. Mainstream folk music found its way to the fore in the mid-twentieth century, with artists like Bob Dylan utilizing expressive lyricism to tell a tangible story. It has continued to maintain relevance within the music industry over the years, making good use of its impressive storytelling abilities. 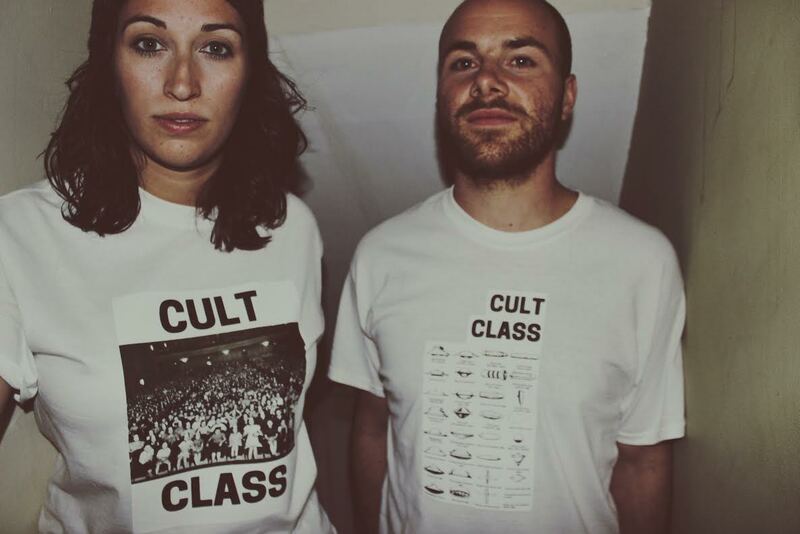 Cult Class, a Philadelphia-based folk duo comprised of Caitlyn Grabenstein and Mike Stingle, is keeping this expressive genre alive and well. With their self-titled album, which Atwood Magazine is proudly premiering today, Cult Class is proving that a good story can lie within a great song. Raw and redolent, Cult Class’ debut record is an impressive folk gem saturated in bare-bones instrumentals and illustrative lyricism. Following the opener is “Rocky Foxes,” a catchy tune with an intriguing guitar loop overlaid with Grabenstein and Stingle’s raw vocals. Immediately following is “Front Row Dreams,” which laments the life of a typical concertgoer. It is an accurate, ubiquitous summation of every concert experience. Next is “Icarus,” a slower track titled after the infamous Greek myth. The symbolism within “Icarus” is apparent: the track is about a relationship, and it was as intense as flying into the sun. Grabenstein’s vocals are reminiscing and the lyrics are poetic; it is a tangible longing that hits to the core. Similarly, the subsequent track, “CorporateLand,” serves as a symbolic ode to modern culture. It is a biting criticism of a capitalist society, and an ongoing wish for something better. It is ironically upbeat, idealizing a better life than blissful mundanity. Aptly, “Machine” follows “CorporateLand,” and Stingle croons, “Machine, I’ll be your slave and master; anything you want just ask for, I’ll be your machine.” We are bound to the things we create, until those creations inevitably become part of us. “Kelly Drive,” the next song, will be a friendly name for those familiar with Cult Class’ hometown of Philadelphia. The four-minute track is an affectionate ode to the City of Brotherly Love, making mention of fog-racing down the eponymous road and drinking overpriced beers on a night out. The next song, “You Need Me,” is a complete 180 from “Killin’ It” — helmed by Grabenstein, “You Need Me” is an emotionally raw track wrought with tangible sentimentality. It feels almost pleading; a yearning for a love that may no longer be attainable. And, seemingly as a response, the subsequent “Wrong To Leave Her” represents the flip side of the coin: knowing that something, somehow, went awry. Finally, the album closes with “Train Song,” a traditional folk tune that relies heavily upon redundant lyricism and a bouncy banjo riff. It feels like a fitting end to the narrative; an upbeat, brighter tune that epitomizes idealization. Cult Class have evolved, and the future is looking up. Cult Class represents everything that is admirable about folk music: illustrative lyricism and catchy instrumentation blended together with impressive and unique storytelling. Folk music is music for the people — its themes and messages are something to which anyone can relate, regardless of personal musical preference. 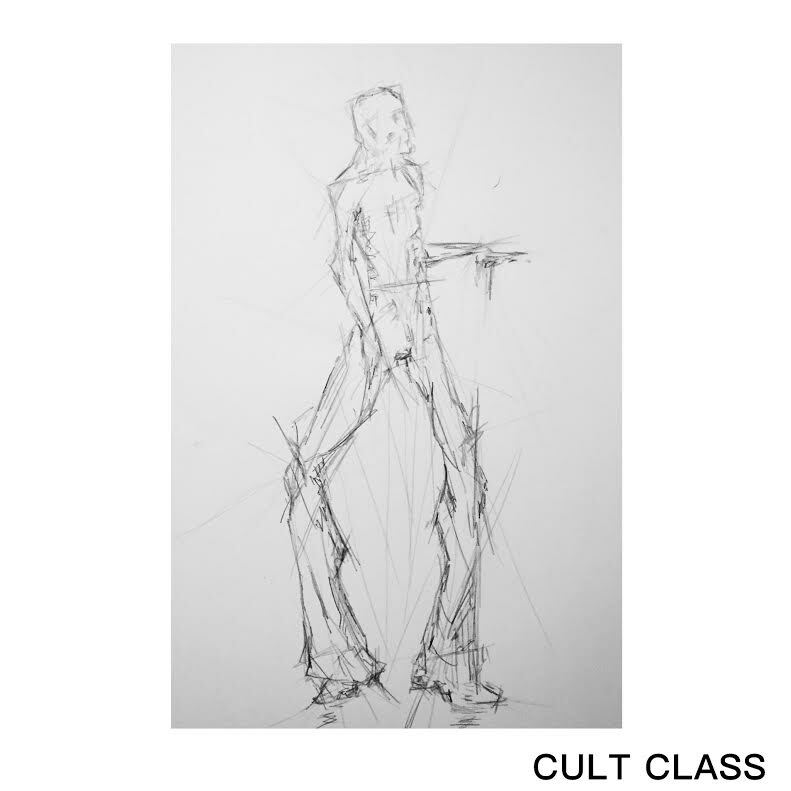 Cult Class have acutely tapped into this personability, and utilize it strongly to their advantage. Palpably raw and expressively human, Cult Class are, simply, in a class of their own. In addition to releasing their full-length debut, the duo has also created an accompanying storybook. The book serves to be supplementary and complementary to the music; it not only includes lyrics to tracks like “Icarus” and “Rocky Foxes,” but it also has entirely original illustrations and short stories that are to be associated with the tracks on the album. The illustrations give an intriguing visual interpretation to the audio, while the stories themselves feel like they give even further back story to the music. “CorporateLand,” especially, has particular attachment to both of the short stories in the storybook, and serves as an inspiration for the themes found within both tales. The Cult Class Storybook will only be available for viewing for 24 hours, starting today, on the duo’s website. You can access it exclusively via Atwood Magazine, before needing to then purchase it at live shows. The album, contrarily, will be available in full on SoundCloud and Bandcamp.